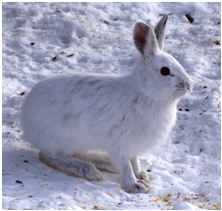 Joanie's Trendy Quilts : Something Spring on a Cold Wintery Day . .
Do cold wintery days put you in the mood to hibernate in your favorite quilting studio/room or place? Does me! Since I am such a project gal I love burrowing in sometimes to my detriment. Yesterday was such a day when hubby extended an invitation to take a spin in his new car. I was too deep in my hole and had absolutely no desire to come out of it. Smart man he extended yet another invite early this morning before I became too involved. He wants to take me out to dinner and so we are. Since I was like a rabbit in my hole yesterday I finished a quilt and I am quite hoppy happy today to present the completed Posie Quilt. But baby! It is still cold out there!! We need Spring weather with some flowers. Here is just the thing to stir the heart in hope of warmer days will soon be here. And so now I am doing more happy hoppies! Not only am I happy about a finish but that the colors didn’t run on the quilt when washed. A long time quilter friend has often talked about using color catchers. A little googling and I found that this was a product that could be purchased at WalMart. It is called Shout Color Catcher with 24 sheets per box. It can be found in the laundry detergent aisle. There is also a recipe for color catcher if you have the mind to make your own at One Good Thing by Jillee. I hope you can see how densely it is quilted. There are several quilting patterns. Swirls and circles in the inside borders and a loopy design in the checkerboard border. Flowers are quilted with a posie motif and the leaves have stems and veins. The inside sashing has on point squares with ribbon in the center with stippling outside of the squares. 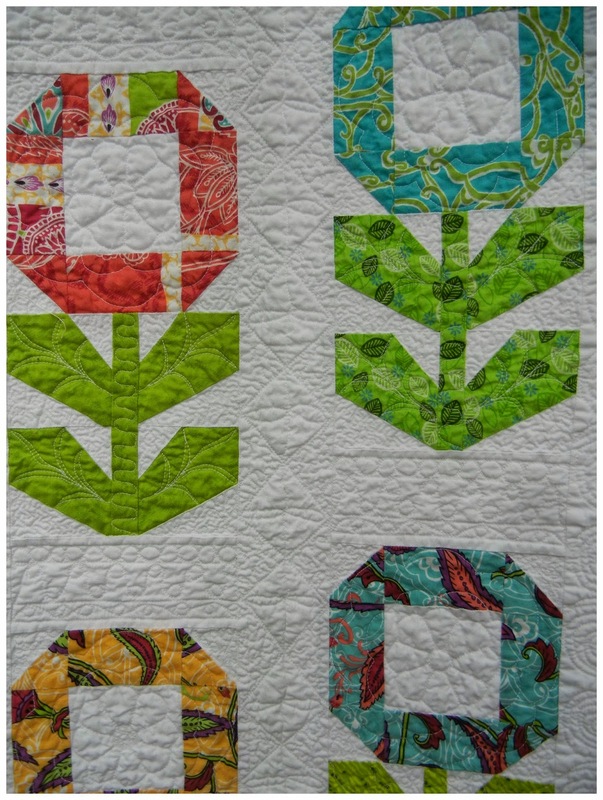 The spaces above and below the posie block have a 3 lines of various loopy and circular designs. Doesn't it look good on my love seat? That isn't home for it though. This is intended to be gifted to a very special person. Just because I think it looks so pretty hanging in my pine tree. What a moment my son just sent me a text message to tell me he proposed to his girlfriend!! A huge big thank you to Richard and Tanya for featuring Posie quilt! What a happy and colourful quilt. This is a truly beautiful quilt. 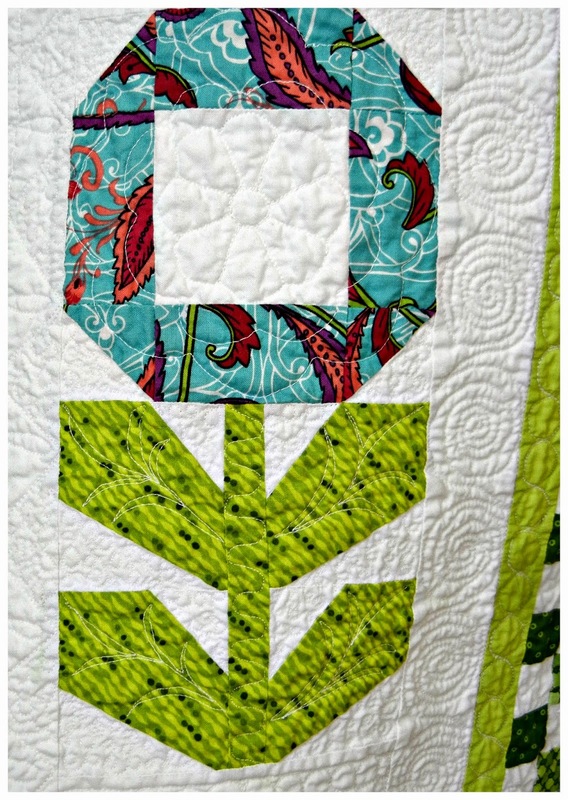 I love the fresh shades of green, and the quilting gives the whole design a sense of movement with the spirals. Would you like to join in with the Free Motions Mavericks linky on my blog? It would be great to see you there. What a sweet and adorable quilt! Those certainly are some pretty posies. 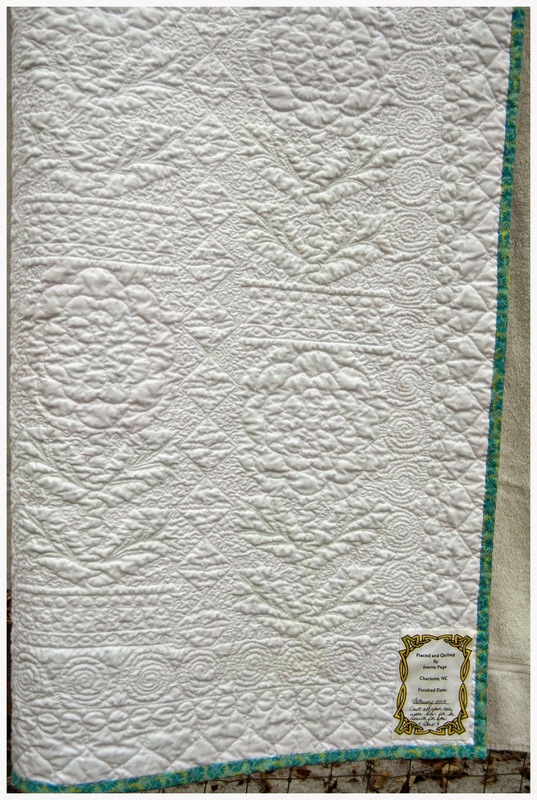 Love the dense and intricate quilting, Joanie. Such a very pretty finish! On this record breaking cold morning, that quilt looks divine! Very pretty. I did that last weekend during our blizzrd. I made a quilt for myself that I have wanted to make for years. It is now ready to machine quilt. These posies make me think spring! What a lovely pattern, and great use of color! very nice Joanie....thank you for your support. Very pretty flowers! I am ready for some spring time! It is a delightful quilt -wonderful work! It certainly does have the perfect springy feel and I'd love to see more close up pics of it. What a cute quilt. It makes me happy just to look at it. Joanie, this is so pretty! And what a beautiful job you did on the quilting. Awesome job on your quilting, Joanie. Your Posie Quilt is so lovely. Thanks for linking up to TGIFF. Yes Joanie! I love to hibernate.........but, I seem to like to do it year round! 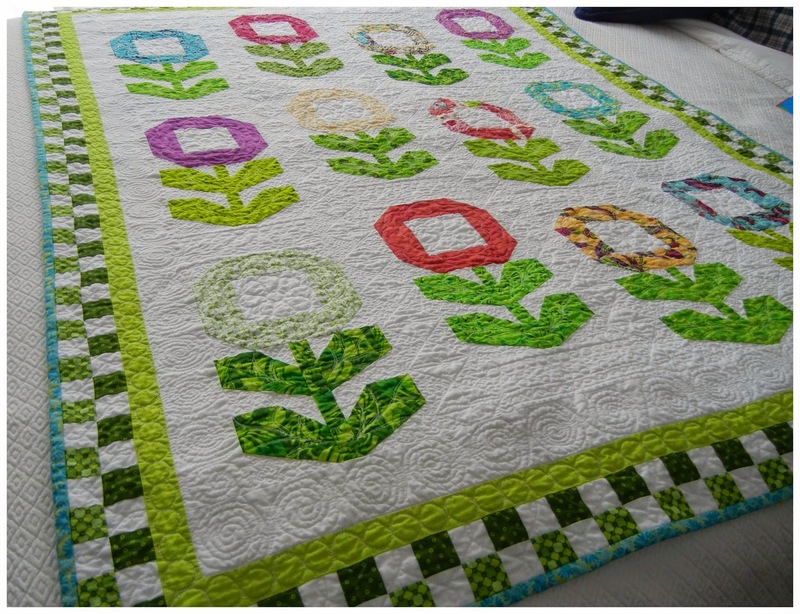 LOL Your quilt finish is a charming, refreshing ode to spring! Congrats! Adorable quilt, Joanie! I love the quilting. 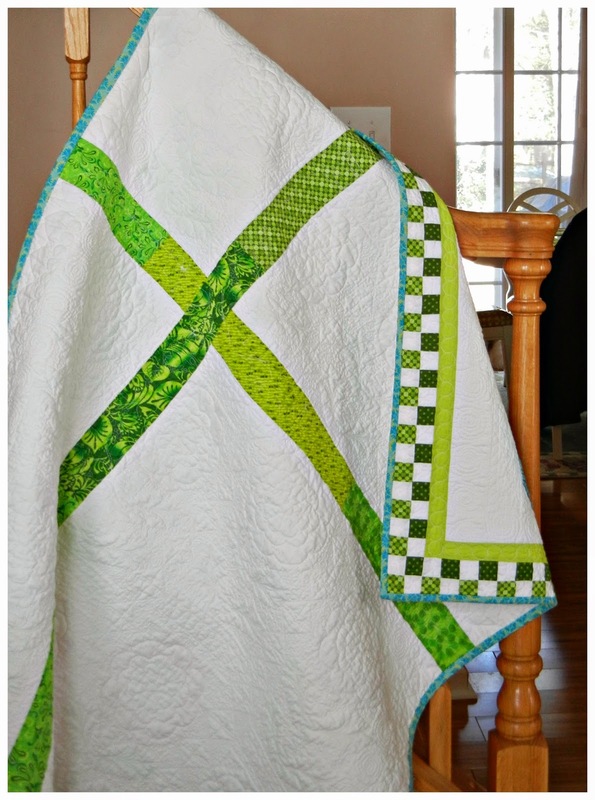 Dense, nicely balanced, and it complements the quilt design beautifully -- especially like the way you quilted the meander loopy vine through your green and white checkerboard border. These are lovely! Makes me long for spring. I live in Austin and its been cold for all of THREE days and I've had about enough. Sometimes I do long for some snow to allow me to hibernate and sew, but then I remind myself I'd just be trudging to work in the snow, which is no fun. Whoever gets your posie quilt is a very lucky person! Hmm. . . I might have already commented, but it did something weird. I really love this quilt - it's bright and cheery, and the best project for a snow day. It's a stunning quilt and the quilting is amazingly intricate - lucky person who gets to snuggle up under that one! Your Posie quilt is so fresh and pretty, and the quilting absolutely wonderful!